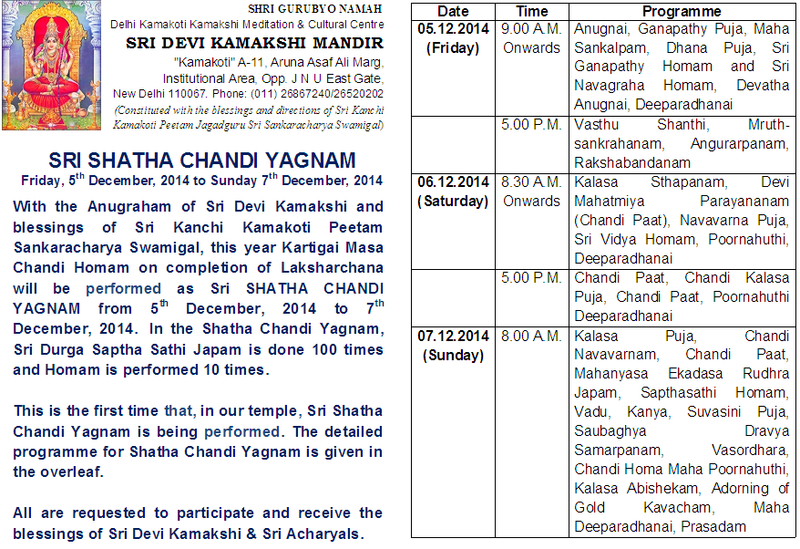 With the benign Blessings of Pujyashri Shankaracharya Swamijis of Shri Kanchi Kamakoti Peetam, the Annual Laksharchanai to Sri Devi Kamakshi will be performed in Devi Kamakshi temple, New Delhi, this year from Saturday, 22nd November, 2014 to Saturday 6th December, 2014. 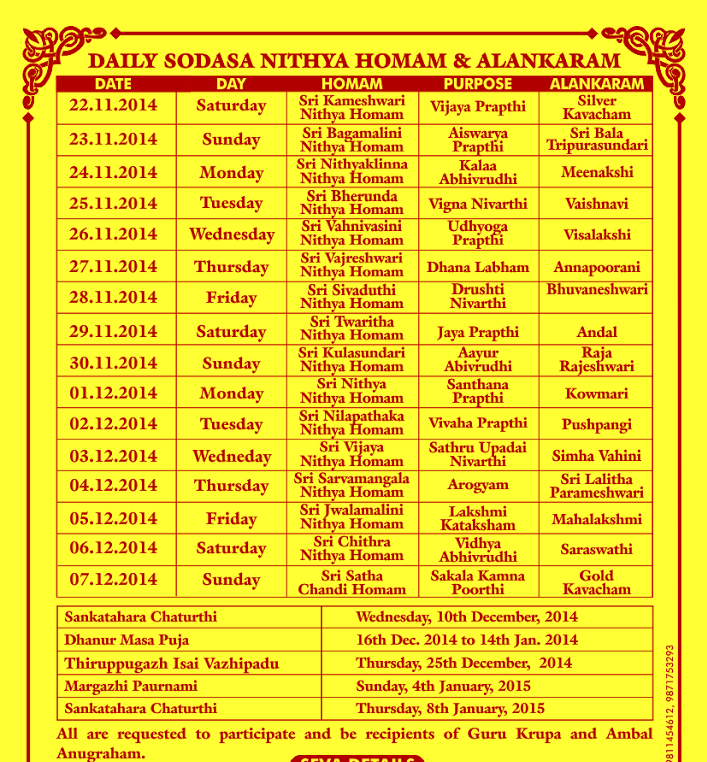 Sahasranama Archanai as part of Laksharchana will be offered both in the morning and in the evening. 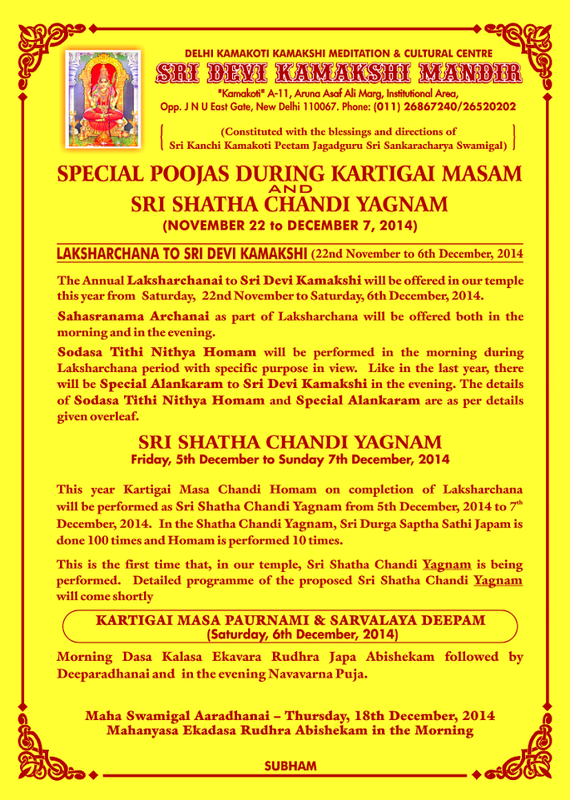 This year Kartigai Masa Chandi Homam on completion of Laksharchana will be performed as Sri SHATHA CHANDI YAGNAM from 5th December, 2014 to 7th December, 2014. In the Shatha Chandi Yagnam, Sri Durga Saptha Shathi Japam is done 100 times and Homam is performed 10 times.